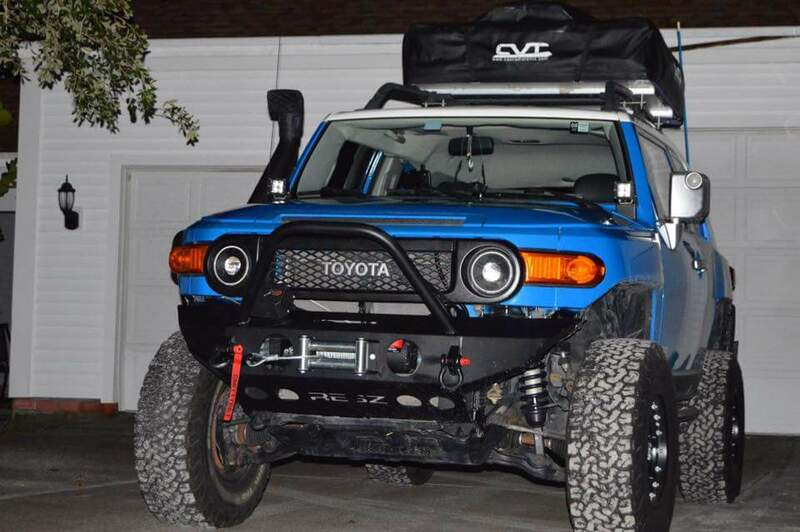 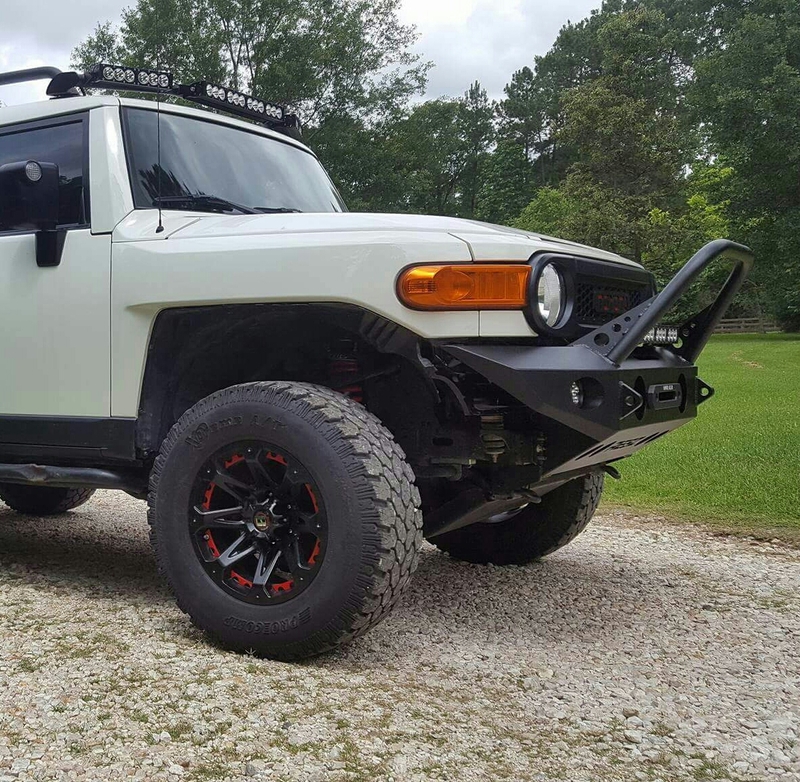 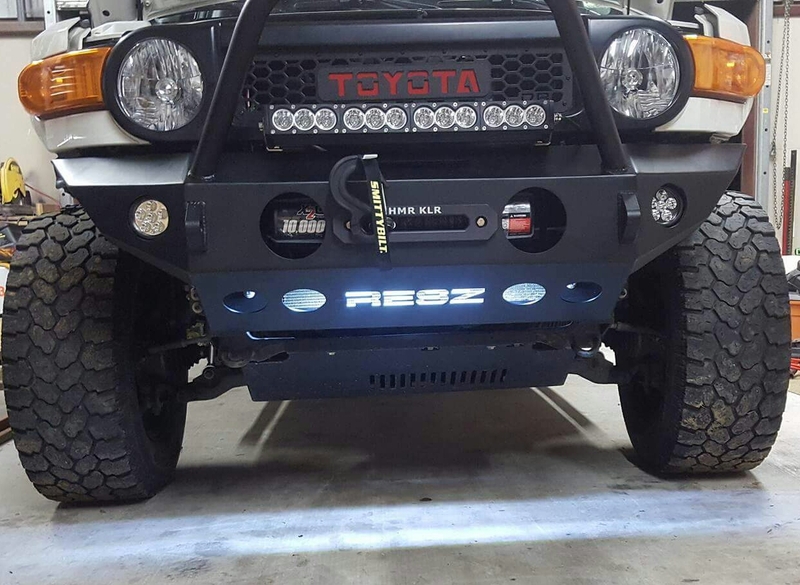 The RESZ Fab v2.0 steel bumper is perfect for those that want to see more tire and/or like their FJ Cruiser without the plastic fender flares. 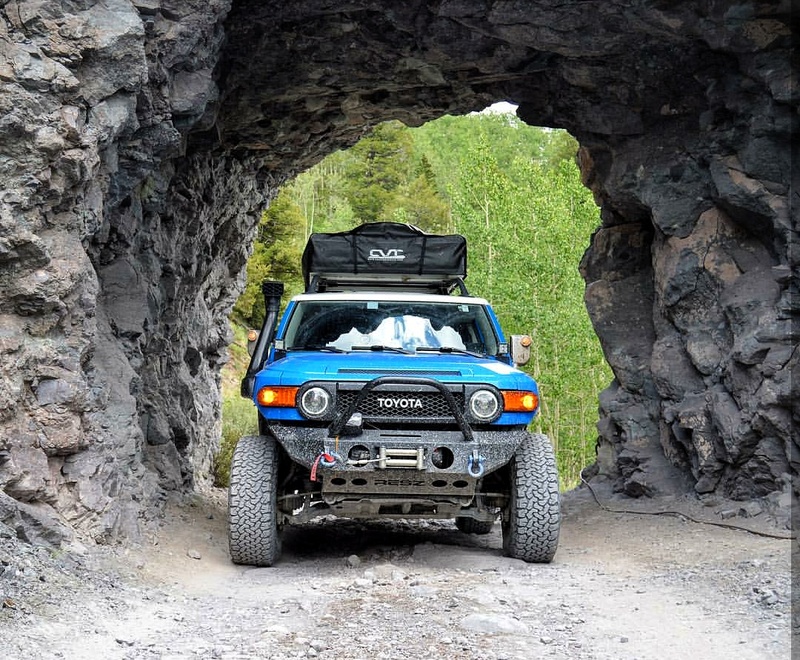 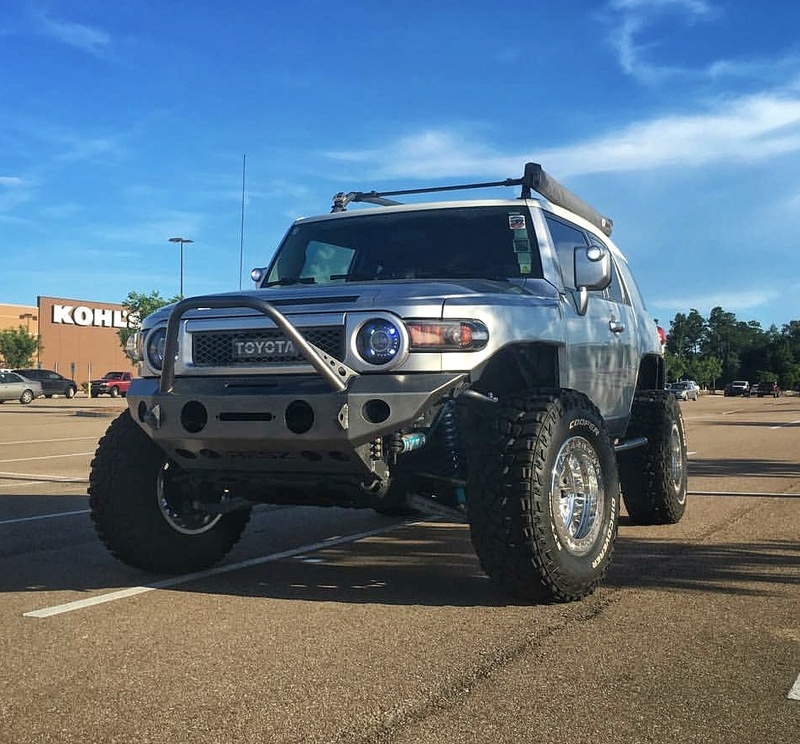 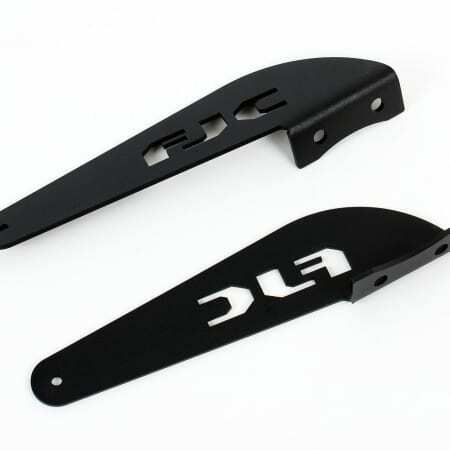 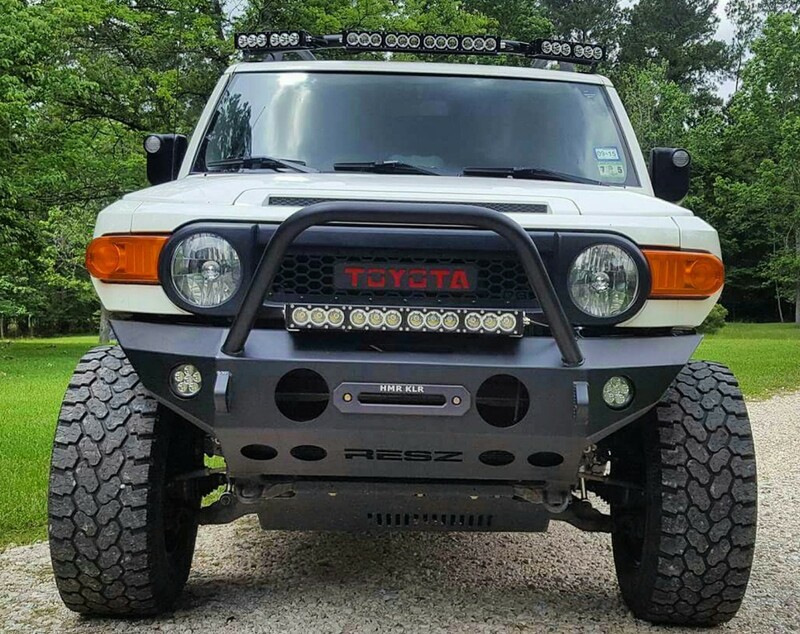 Made of 1/4″ and 1/8″ steel plate..
All RESZ Fab steel FJ Cruiser front bumpers are made with a 1/4″ thick frame and 1/8″ thick outer shell. 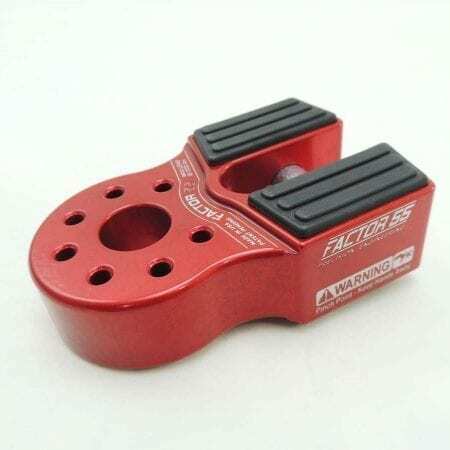 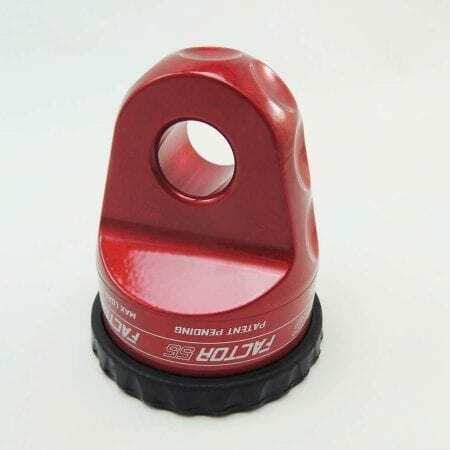 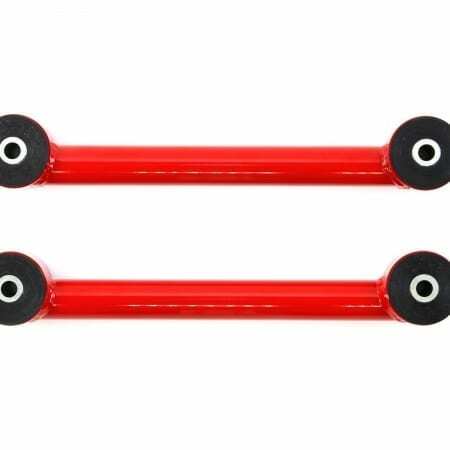 D-ring clevises are 1″ thick and are welded to both the frame and outer shell. 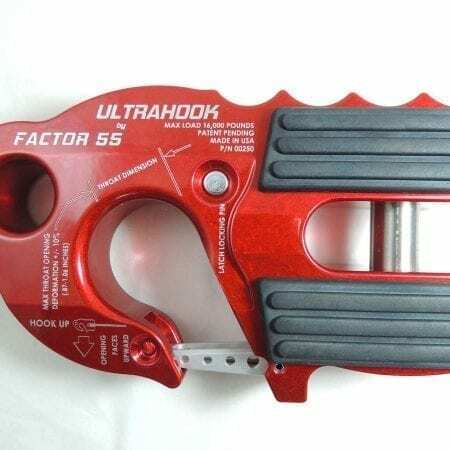 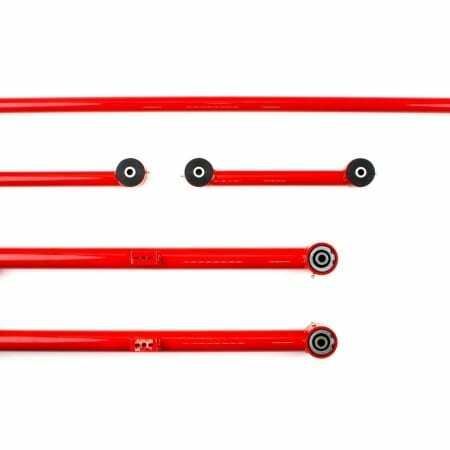 The hoops are made of 1.75 x .120 DOM steel tube and are reinforced with gussets that run about 3/4 of the way up the hoop. 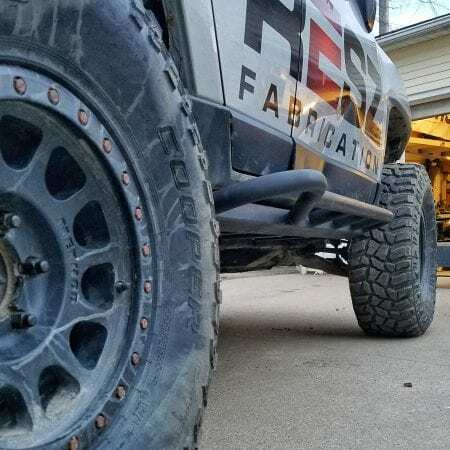 In addition to the 8 factory mounting bolts, we’ve added 2 more for extra strength. 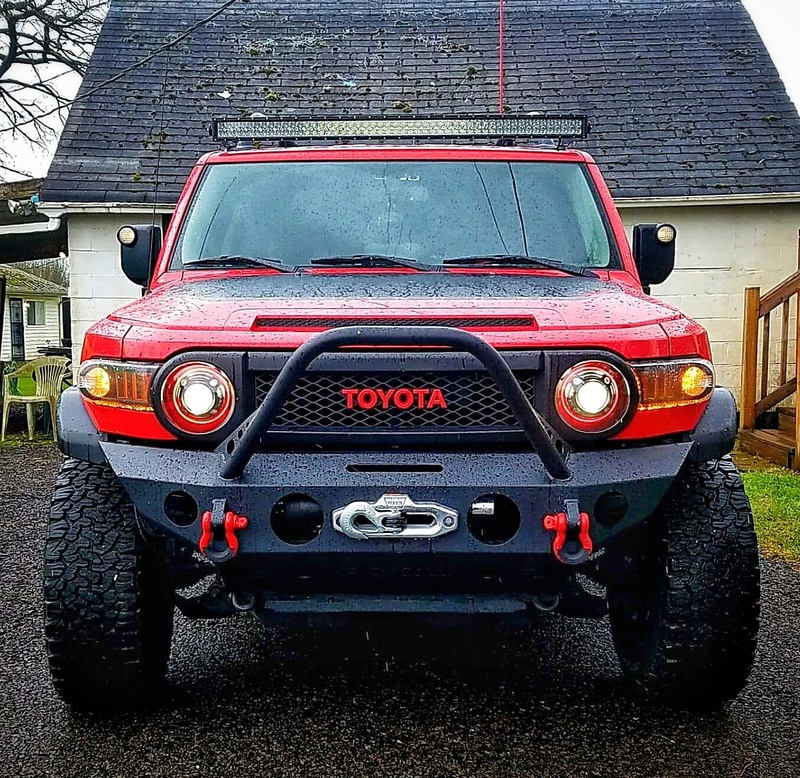 One on each side of the frame. 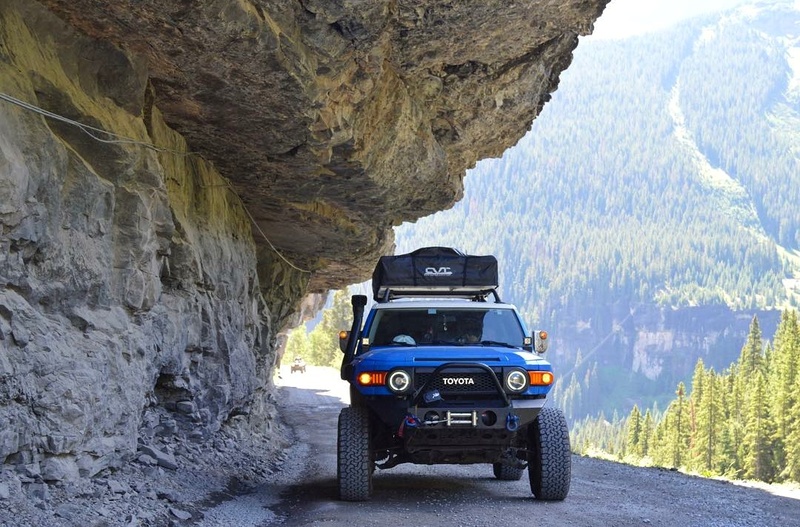 All FJ Cruiser plate bumpers are also built to house most non-integrated winches up to 12,000 lbs. 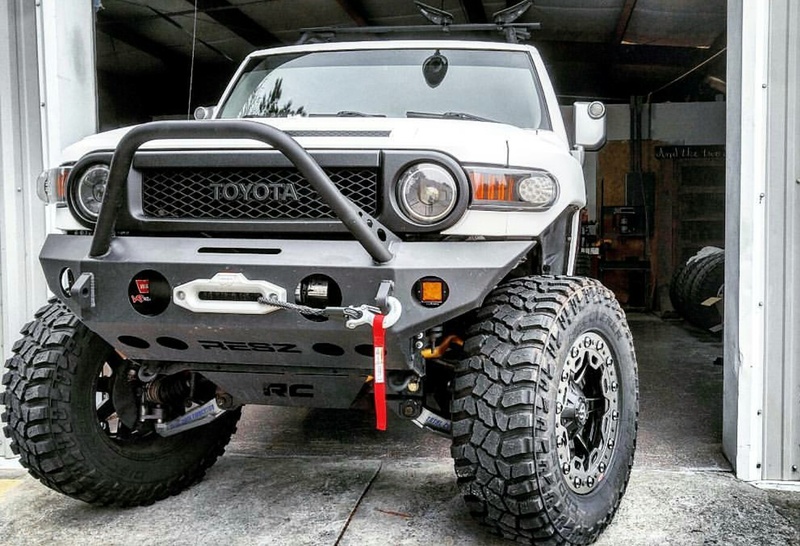 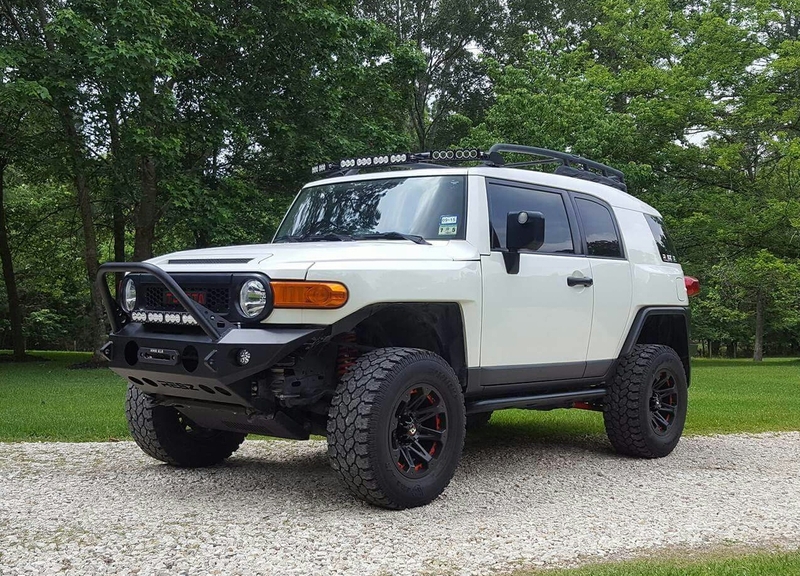 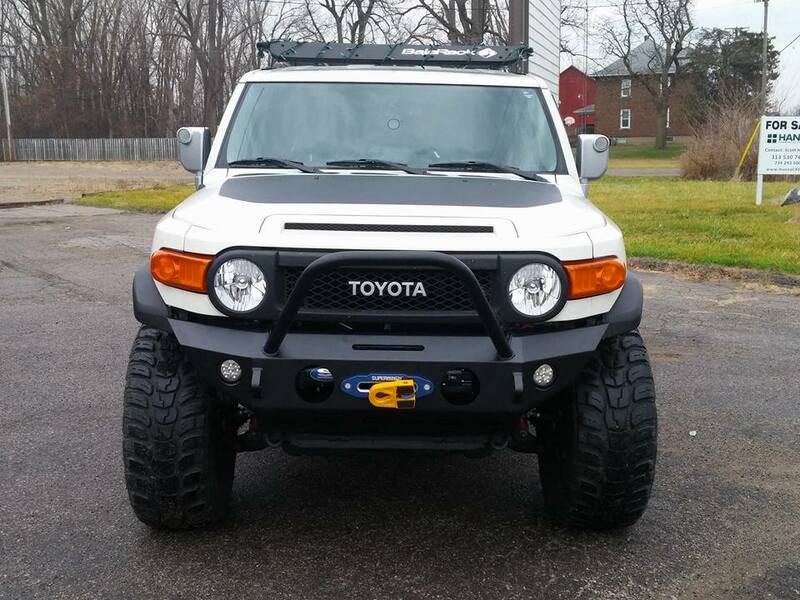 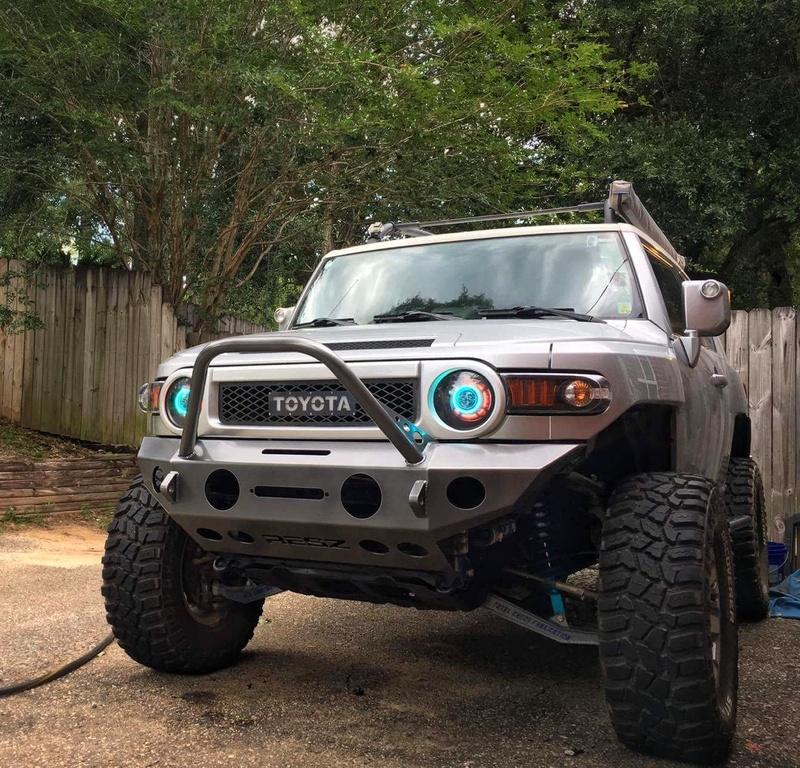 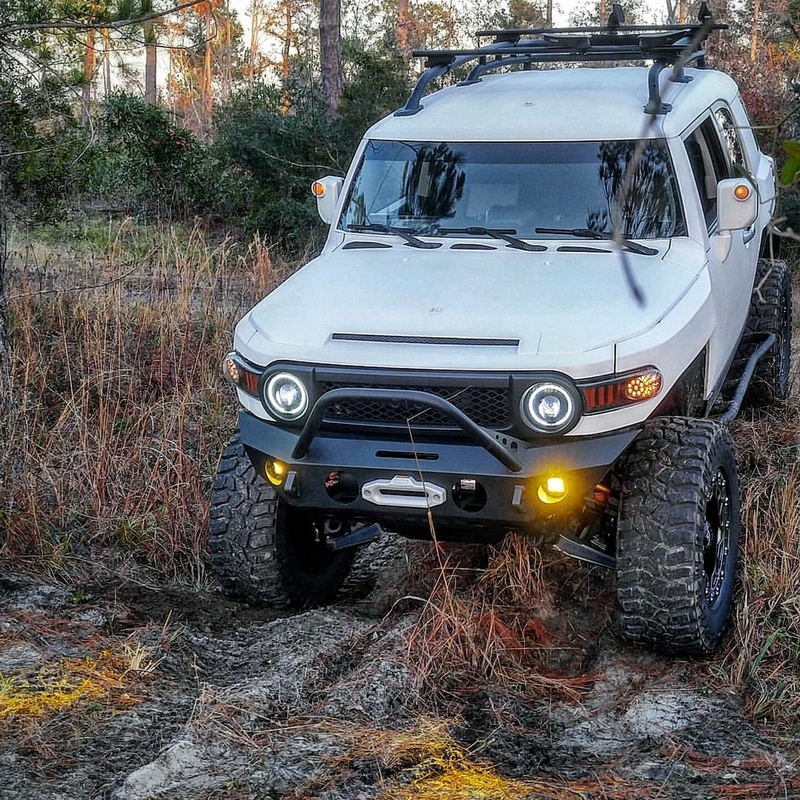 The RESZ v2.0 FJ Cruiser bumper is perfect for those that want to see more tire and/or like their FJ’s without the plastic fender flares. 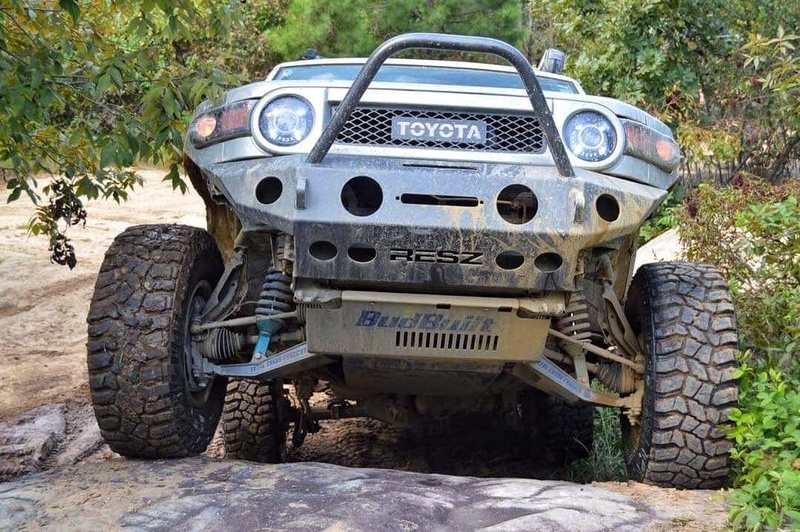 The lines of the bumper wings match perfectly with the the steel fenders. 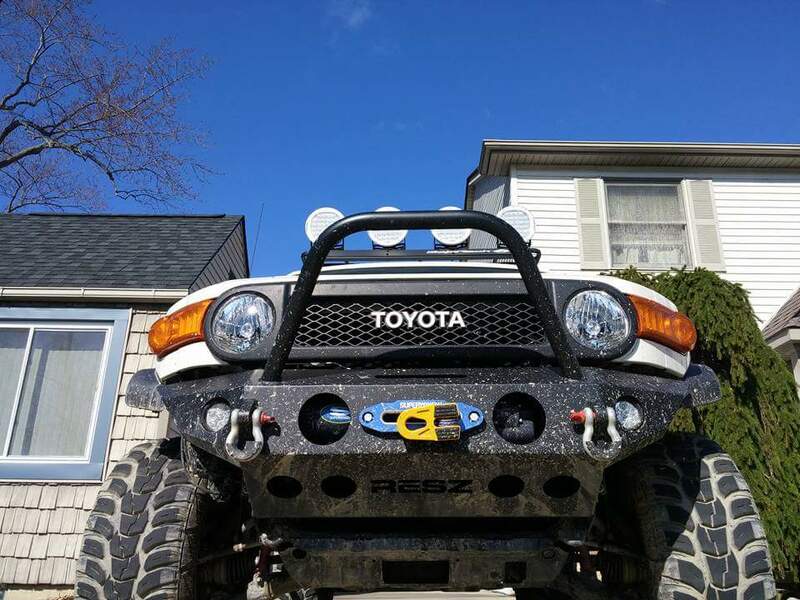 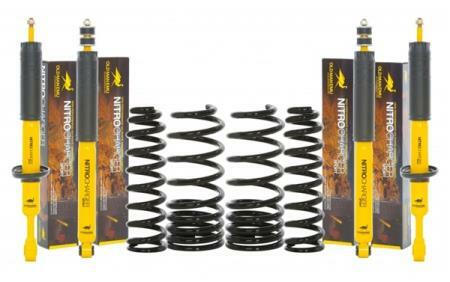 NOTE: These bumpers will expose the windshield washer tanks on 2010+ FJ Cruiser’s. 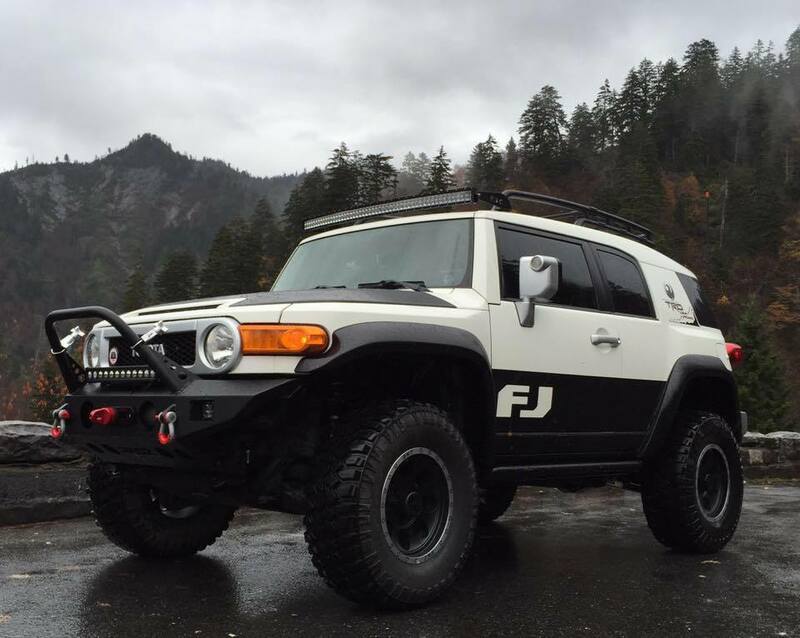 There are several options. 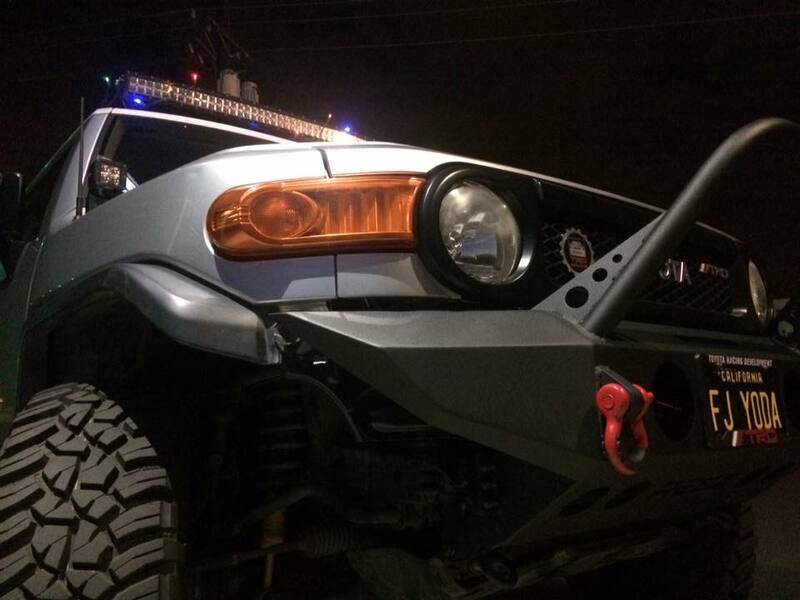 Leave it, paint it, cover it, or relocate it. 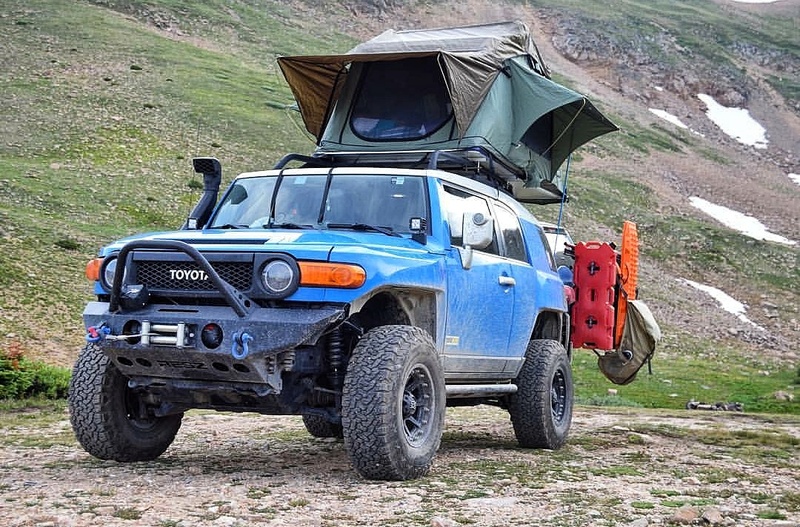 *There is currently a 6-12 week lead time.